A goal eight minutes from time, scored by Nigerian substitute Chinedu Obasi, ensured that Professional Development League leaders Bolton Wanderers beat bottom of the table Burnley tonight 1-0 at the Macron Stadium in Horwich. Tonight’s game was always going to be a big ask of a Burnley team who haven’t won a league point since mid-November when we beat Barnsley 1-0 with a goal from Tunde Bayode. It was even more difficult tonight with the team shorn of the services of James Clarke, Oliver Younger, Aiden O’Neill and Dwight McNeil, all of whom were involved in yesterday’s behind closed doors friendly against Blackpool that was arranged to give Tom Heaton, Dean Marney and Chris Wood some game time. Bolton, on the other hand, boasted the league’s leading goalscorer in their line up in Connor Hall and he was alongside a full England international in Jon Flanagan, the Liverpool full back who was on loan at Burnley last season and has now joined Bolton on loan, and German under-21 international Jan Kirchhoff who is expected to sign a deal with Bolton imminently having left Sunderland at the end of last season. Having made a bad start to the season, Bolton are very much the form team who have moved from bottom to top of the league and our team included a number of players who would qualify for an under-19 team along with trialist central defender Frank Jones from Blackpool who is 18 and young enough to play youth team football, as is Anthony Glennon from Liverpool, another 18-year-old who was on the bench. Jones, and fellow 18-year-old Scott Wilson were outstanding in defence in front of Conor Mitchell who was as good as anyone we had on the pitch, making a number of outstanding saves, particularly in the first half. He made another good save early in the second half, this after Jones had cleared one off the line but we came more into the game even before both Flanagan and Kirchhoff were withdrawn. That led to our best spell of the game and we came close to getting a lead, but it was Bolton who eventually broke the deadlock to move three points clear at the top of the league and leave Burnley on the end of a fifth successive league defeat. Michael Duff said after the game: “It was much better, other than the result. We asked for a bit of fight after the last two or three weeks. Again, we played an older team, with one or two first-team players playing for them, and we lost three or four to the first-team game yesterday, which is good. They need to be playing with the first-team players to aid their development. Bolton: Jake Turner, Jon Flanagan (Ryan White 61), Joe Muscatt, Liam Edwards, Adam Mitchell (Callum Rose 70), Harry Brockbank, Liam Morris, Jan Kirchhoff (Chinedu Obasi 61), Connor Hall, Harry Charsley, Jack Earing. Subs not used: James Aspinall, Shakeel Jones-Griffiths. 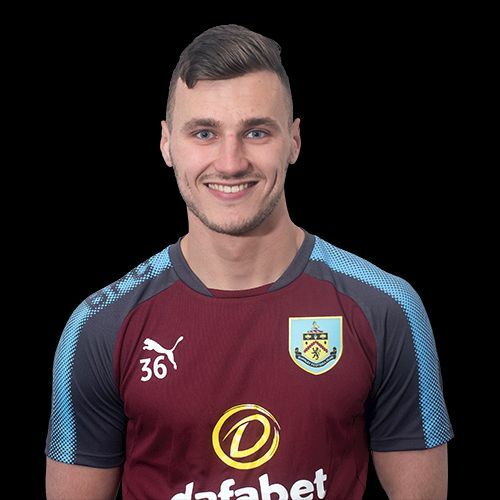 Burnley: Conor Mitchell, Arlen Birch, Frank Jones, Scott Wilson, Ali Koiki, Tunde Bayode (Jordan Barnett 81), Christian N’Guessan, Rahis Nabi, Brad Jackson (Tommy Wood 85), Jamie Thomas (Tinashe Chakwana 64), Ntumba Massanka. Subs not used: Aidan Stone, Anthony Glennon.